Sheets of wind and rain greeted me this morning. Oldest son flew out of LAX very early this morning and sent me a text that his plane departed before it began raining and that it was hot and humid-sounds right for Atlanta. He’s missing the storm (the Southern California version: 2- 3 inches of rain & windy) that is due today and predicted to last until Monday night. I like the rain, as long as I’m not driving and water’s not leaking somewhere in my house. I like being in pajamas too. There’s so much to do on a rainy day: catch up on reading, watch an old movie, upload photos, redo a bedroom, play scrabble and make warm comfort food. Before I sacked out on the couch with a book I tried out new Vegan recipes for Vegan Son. He’s my youngest and has been a vegan for 9 months. Although I fully support Vegan Son, I also worry about whether he’s getting enough protein and essential vitamins. The boy’s a little over 6 feet, skinny, and an active skateboarder who forgets to eat when he’s involved with an art project or silk screening. I am particularly happy to find that almost all foods except for alcohol, sugar, and fats provide some protein. 1 cup broccoli, and 1 cup brown rice. Veganism is the practice of abstaining from the use of animal products. Ethical vegans reject the commodity status of animals and the use of animal products for any purpose, while dietary vegans or strict vegetarians eliminate them from their diet only. Another form, environmental veganism, rejects the use of animal products on the premise that the industrial practice is environmentally damaging and unsustainable My son is a dietary and enviromental vegan. So, today I’m tweaking Mexican recipes for enchiladas, chile beans, guisado, and tacos. It is surprisingly simple if you have a few vegan products: soy chorizo, tofu, and vegan cheese such as Daiya, (first 2 found at most markets and Trader Joe’s, Daiya found at Fresh N Easy) you can make all of these food items. Fill and roll up 12 heated corn tortillas with a mixture of mashed black or pinto beans (you can also use Beef-Less product), Daiya shredded cheese, sliced olives, and diced onions. Place rolled and filled tortillas side by side in olive oil greased casserole pan. Pour 1 12-16 oz. can of Las Palmas or other red chile enchilada sauce over tortillas, top with more shredded Daiya and bake 20 minutes at 350. Serve with vegan sour cream. Add 1/2 pkg.Soy Chorizo and 3 oz. of Beef-Less Ground (a soy product) and brown 5 minutes. Add this to cooked beans and cook on low for another hour. Serve with Pico de Gallo or any salsa, vegan sour cream, and chopped cilantro. 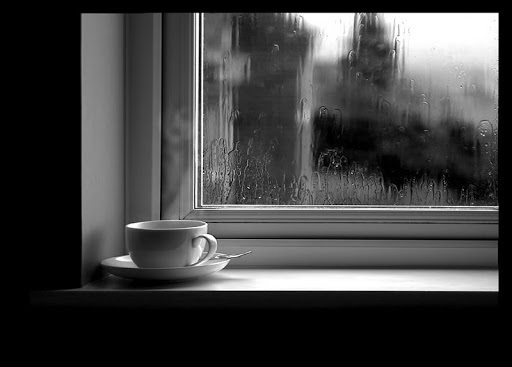 What do you like to do during rainy days? Hope you try and enjoy these recipes. Thanks for sharing these recipes. The beans are making my mouth water! On rainy or overcast days I like to curl up on the couch with a book. A few more blogs to go and I will be doing just that. Enjoy the rest of your weekend!